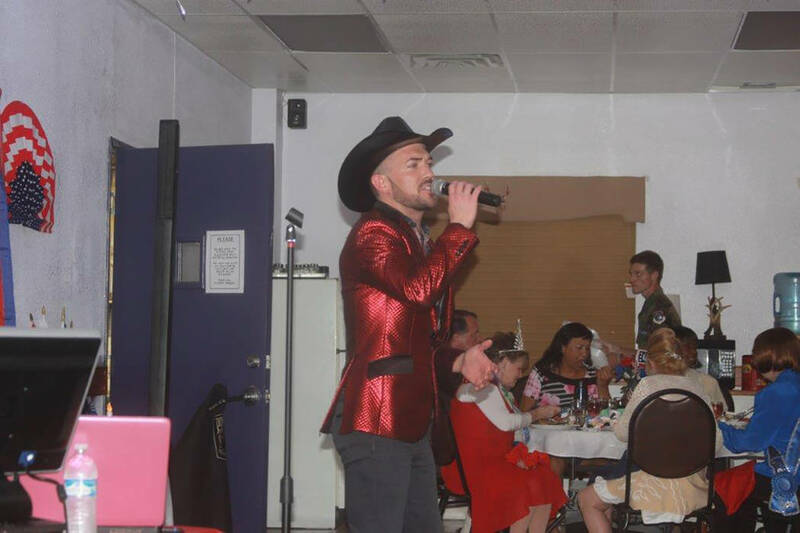 Late last month, the Pahrump Elks Lodge hosted a dinner and entertainment show fundraiser to benefit the United Services Organization (USO) unit at McCarran International Airport. The entertainment was provided by Las Vegas Entertainer Chase Brown and the local Nye County Starlets Dance Troupe. 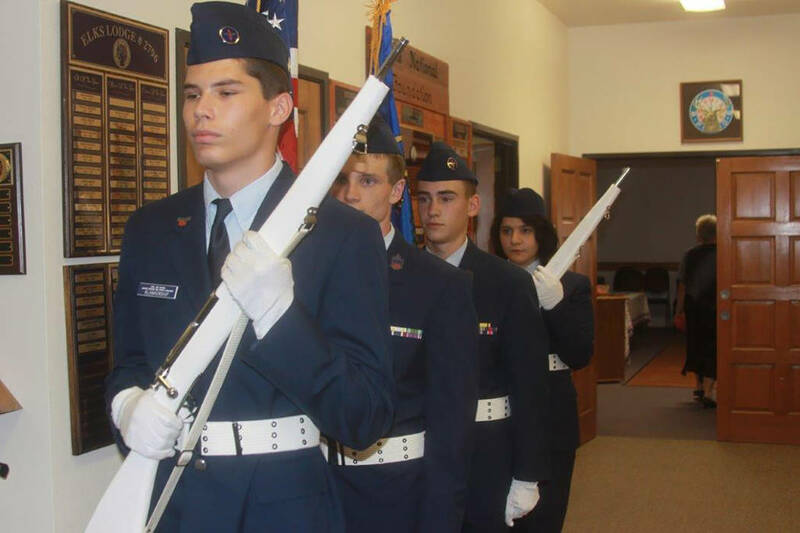 Additionally, cadets from the Pahrump Civil Air Patrol Cadet unit presented the “colors” at the start of the show. Members of the Civil Air Patrol Cadet program present the colors at the start of the USO show. 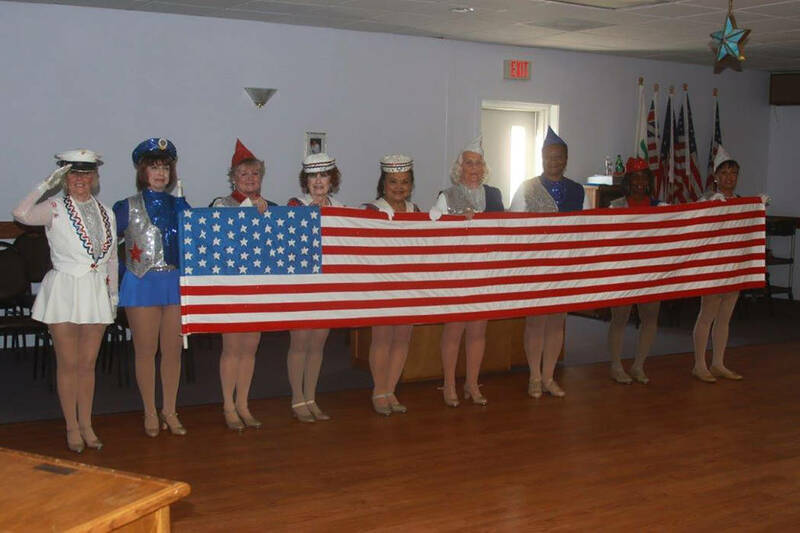 The Nye County Starlets Dance Troupe pays tribute to the “Star Spangled Banner,” at the a fundraiser which benefited the USO at the Elks Lodge on June 24.